After applying for RRB 26567 Posts for Assistant Loco Pilot Technicians 2014, RRB is announcement the admit card for 26567 posts for loco pilot upcoming next months, the examination going conduct on 15 June 2014. 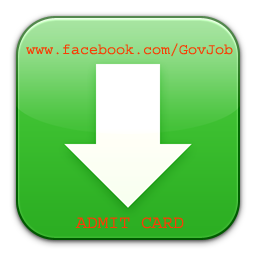 Those candidates admit card have not reached home they can download by using this simple steps. Hall ticket is the must to appearing the examination. Here we tell you important things which can help you to download the Hall tickets for loco pilots by visiting the official website: www.indianrailways.gov.in. Or syllabus. Here the step that should follow to download the admit card. Then read the carefully about then click on that link like this Download Loco pilot admit card. Submit the application then Press the button ctrl+p to generate a print out of your admit card. Negative Marking: Each wrong answer 1/3rd marks will deducted. If you’re looking which books should I buy for study I recommend you that in flipkart.com there are so many books which good worthy for buying. But personnel prefer Upkar books or Lucent’s book good to preparation for loco Pilots exams. More information regarding to this recruitment like educational qualification, Age Limit, Details, Pay Scale with grade pay, How to Apply for the posts. The candidates are requested to read the complete notification before applying for these posts. Last date of filling Application Form : 17/02/2014. The candidates are requested to visit this website on regular basis to get further updates official notfication. We will publish the same as it once goes published. RRB Ahmedabad , RRB Ajmer, RRB Allahabad, RRB Bangalore, RRB Bhubaneswar, RRB Bilaspur, RRB Chandigarh, RRB Chennai , RRB Gorkhpur , RRB Guwahati, RRB Jammu & Kashmir, RRB Kolkata, RRB Ranchi, RRB Malda, RRB Mumbai, RRB Patna. Application for the above categories/posts complete in all respect along with required enclosures should be sent to the respective RRBs by ordinary posts to be sent on the mentioned advertisement within the last date 17/02/2014 up to 05:30 PM. 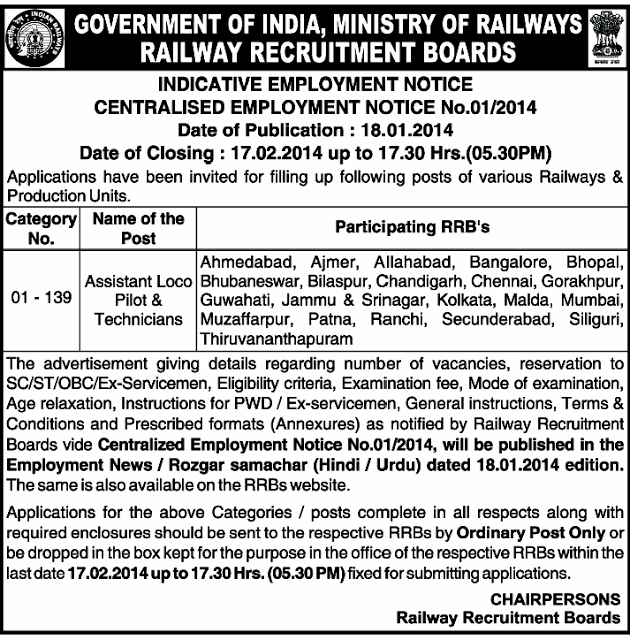 To read the complete notification or download the Application Form RRB 26567 Posts 2014.